The Egyptian Exchange (EGX) is likely to see a sideways trend on Tuesday, analysts told Mubasher. 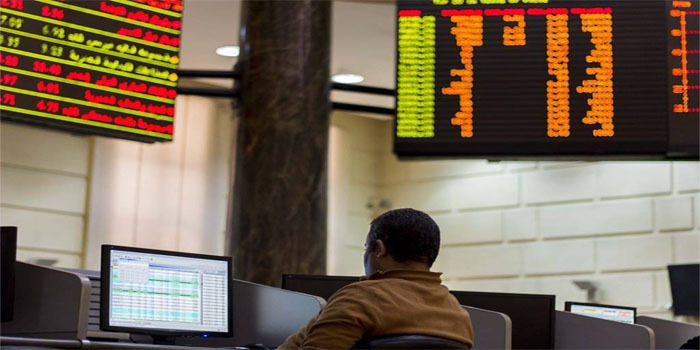 Ayman Fouda, head of the capital market committee at the African Economic Council, said that the indices of the EGX have seen a balance between sell-offs and purchases in Monday’s trading session. The benchmark EGX30 index has a short-term resistance at 15,321 and 15,500 points, and has support at 15,076 and 14,810 points, Fouda highlighted. The small- and mid-cap EGX70 index has a short-term resistance at 736 and 742 points and has support at 711 and 705 points, he added. For his part, Osama Naguib, head of technical analysis at Arab Finance Securities, said that the EGX has seen modest purchases yesterday after testing 15,200 points, noting that trading volume fell slightly. The EGX30 index has support at 14,800, 14,600, and 14,500 points, while it has resistance at 15,600 and 16,600 points, Fouda highlighted.